DAY two of Ras 2017 down and it was a tough one. 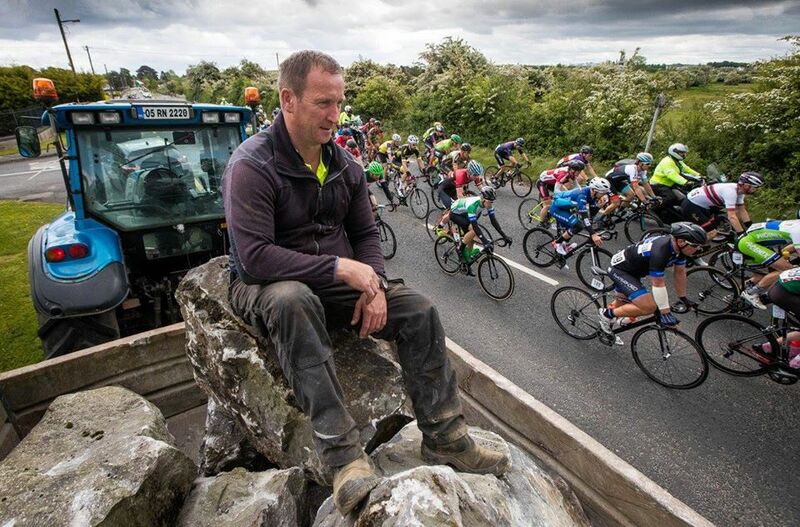 True to the form of the Rás, a fairly innocuous looking day is one that can take the most out of you, and the wind that crossed the route from Longford to Newport today, did just that. After yesterday’s break gaining just too much time, no break was going to be let off the leash as easily today and that means the pace does not let up. Most South Dublin residents don’t know what a real line-out is. . .
Adam Greally and Ronan Killeen made it look comfortable, making it through the line-outs and the cross winds all the way to Mayo. Another great ride from Adam; when you don’t see the team car all day you know it’s a good result. The cross winds took James Quinn, Niall Dwyer and John O’Regan out of the comfort zone (are you ever in it? ), but a coherent group got together and rode it in. You live and learn! The only part of the week that bears any resemblance to a week’s holidays, the team are holed up in Westport tonight and form is positive (steering clear of Blue Thunder and Matt Molloys!). The benefit of the crosswinds is the kit is enjoying some top quality drying weather, but the negative is they are stronger tomorrow. However, the lads are quickly learning that positioning is key. Swanny Amanda has the legs well on the way to recovery and tomorrow they go again. Weather is due to be hot from here on in so maybe they might see more of that team car. It goes without saying the guys are delighted with the support coming through, no club members on the roads today but the crowds are still out and that is always a positive side of this race. Rumours abound of some esteemed club members making an appearance in the hills of Donegal later this week! No Replies to "Ras 2017: Stage Two - Cross-winding and line-outing to Westport"